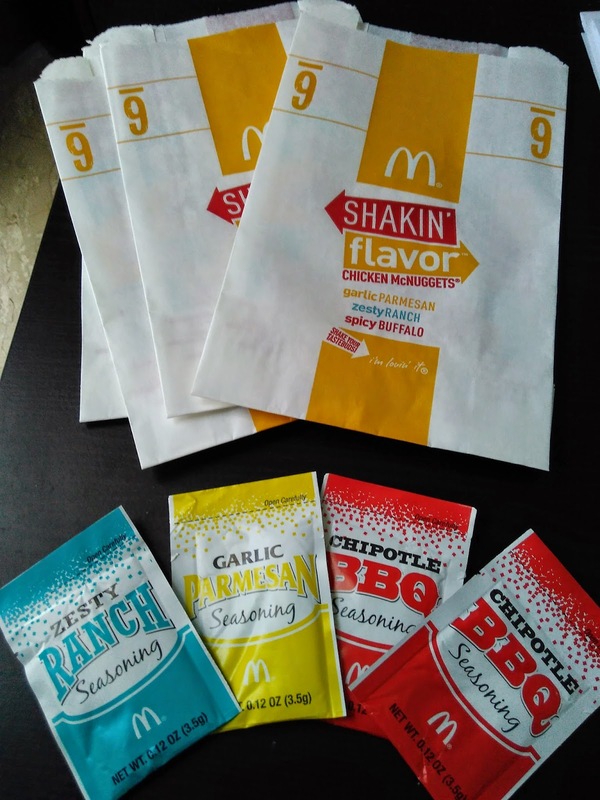 Last summer, Marvo from The Impulsive Buy sent me a set of the 2014 USA test market "seasoning" flavours, Garlic Parmesan, Spicy Buffalo & Zesty Ranch Seasoning. These started in St Louis as fry Shakers, and then travelled over to the West Coast as McNugget shakers. 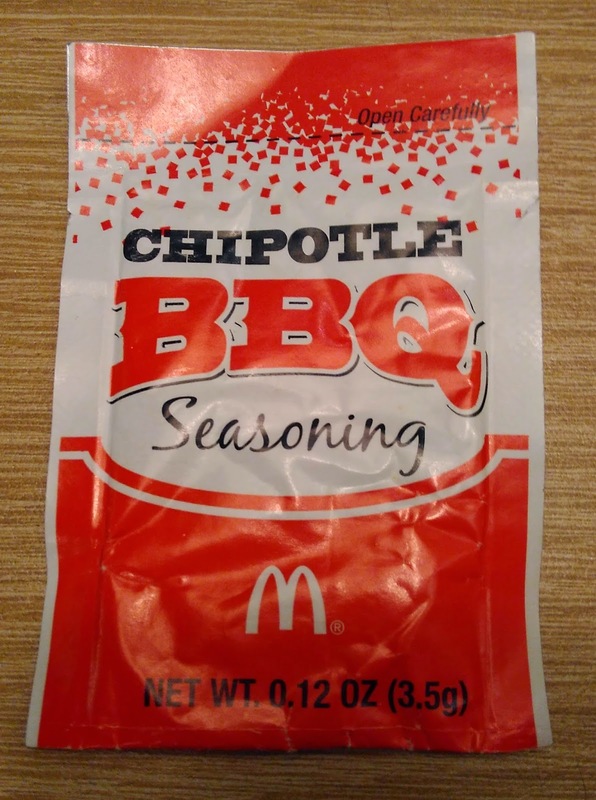 In early February 2015, McDonald's in the US rolled out a new Chipotle BBQ Seasoning to replace the Spicy Buffalo flavour. That was strange, because I thought the Buffalo flavour was easily the best of the lot. 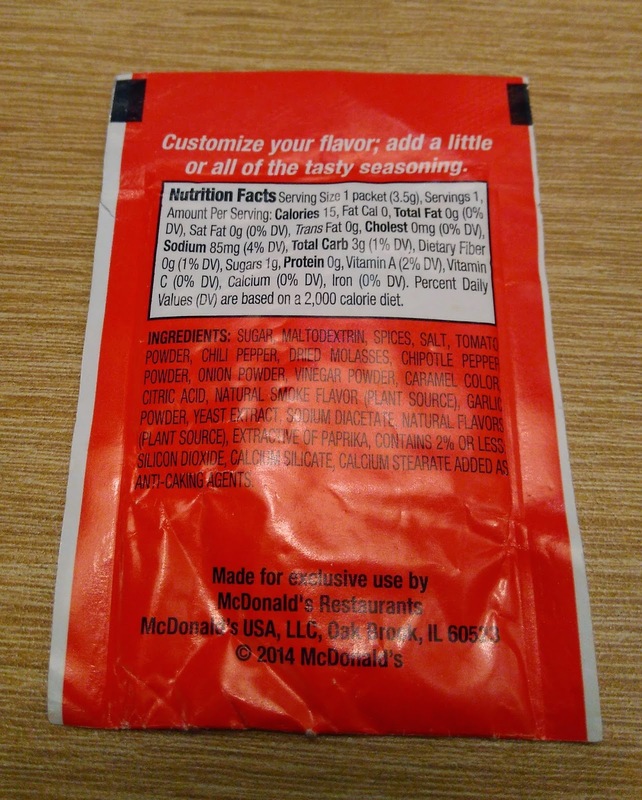 When I saw the new flavour was released, I reached out to McDonald's directly to see if they would be able to send me a packet to review, and they said the would. Over a month passed and nothing arrived, I contacted them, and they said they did send some, but never offered to send a replacement. Marvo saved the day yet again saying that he had an extra pack and would be happy to send it over for me to try. They arrived last week. There were a couple noticeable changes between these and the original 2014 flavours. First, was the size. 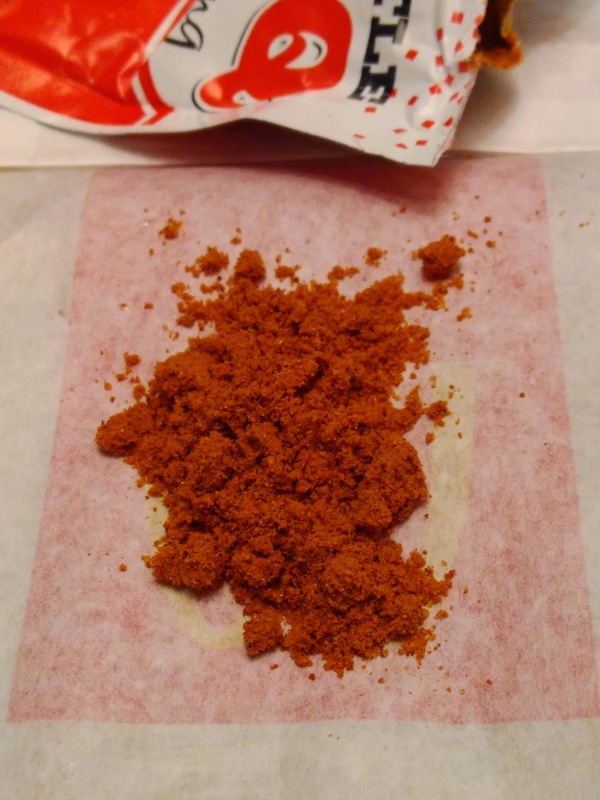 The originals had 5.5g of seasoning per package, which was more seasoning than any shaker I've had in Asia, and easily 2X the amount you would ever want to use. This 2015 flavour has shrunk to 3.5g, and it was pretty easy to tell that they cut down primarily on the salt. The original flavours ranged from 230mg/package of sodium (Garlic) to a whopping 720mg/package for the Spicy Buffalo. 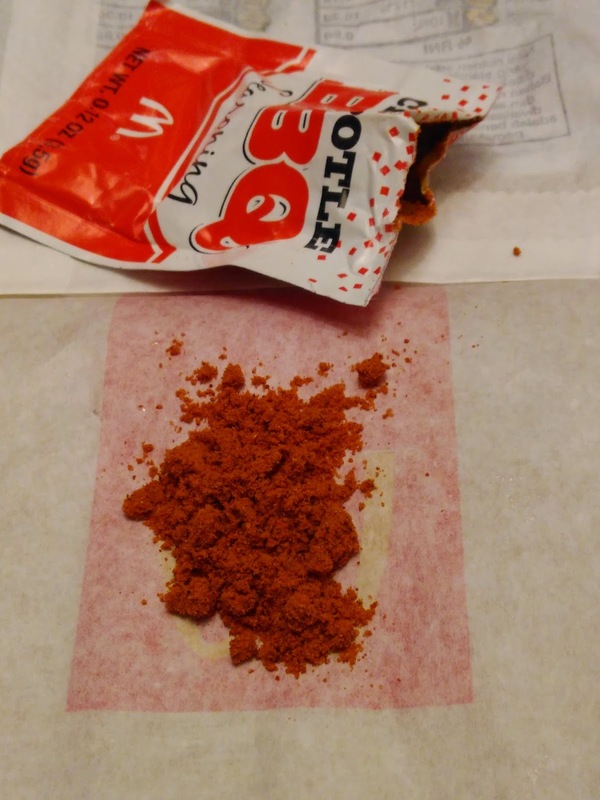 These new Chipotle BBQ flavour cut that down to a much more reasonable 85mg/package. The other noticeable change would was the packaging. Singapore is hot and extremely humid. I often keep shakers and sauces around until I find a suitable time to review them, and I had kept the 2014 packages lying around for weeks before I got around to trying them. Although the look identical, whatever material they were now made from didn't protect the powdery filling nearly as well, as only 3-4 days sitting around in the Singapore humidity caused them to get a bit chunky. I made sure to try them ASAP as I didn't want a repeat of the Nacho Cheese Shakers from Dubai. The Wife and I were spending the weekend in Malaysia like we usually do, so we brought the shakers over so we could save 50% on the cost of a fry. Malaysia hasn't run a promo burger since February and it was the annual release of the Prosperity Burger. 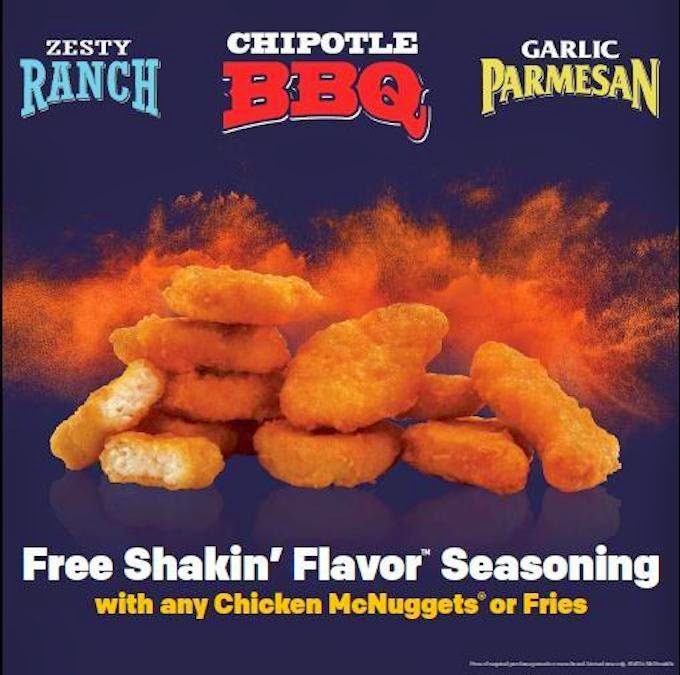 The last promo worth trying was at the beginning of January when they had were 2 short very run Cheese and Honey Mustard McNugget dips. 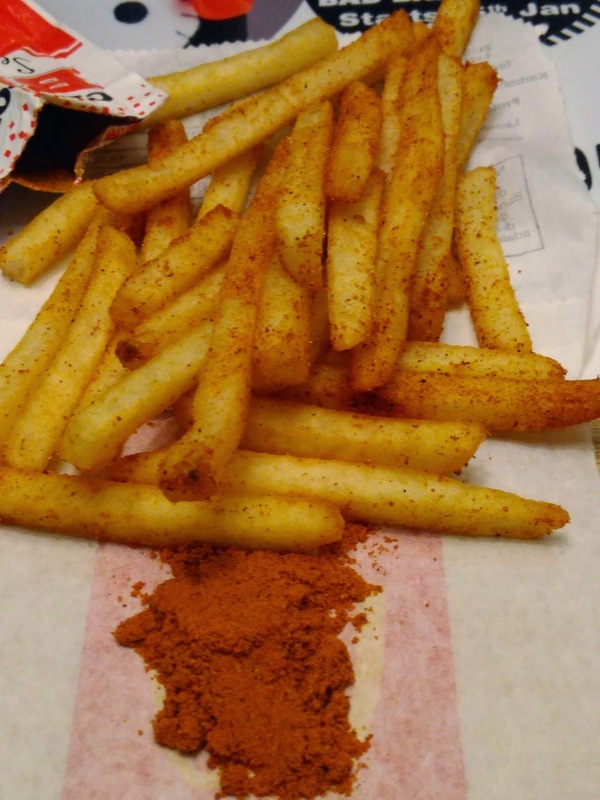 Since we only ordered a small fry, we only used 1/2 of the package for seasoning. The smell initially gave off an Indian-ecs Peri Peri smell, and my wife was a bit scared to try them after remembering the horror of the original Zesty Ranch flavour. Going through the ingredient list and apart from a couple preservatives down at the end, it was mostly things you'd be happy to eat, including Tomato Powder, Chilli, Onion, Vinegar, Natural Smoke, Paprika Pepper & Chipotle Pepper - a big improvement over some of the completely unidentifiable flavours/chemicals in the Asian shakers. I tried the first fry, and the primary flavour I could taste was smoky, meaty taste, exactly like you'd expect with a BBQ flavour. 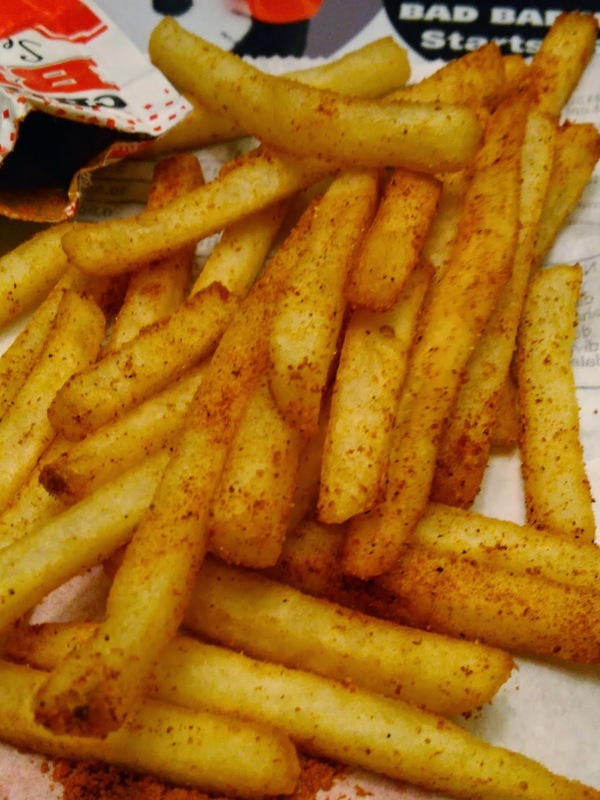 Only when having 2-3 fries at once could you taste any Chipotle/pepper flavours, but they were certainly there, albeit not really that spicy. I calmed The Wife and said they really were pretty good, and after a bit of hesitation, she tried one, and another and another, then proudly said, they deserve a 4/5. 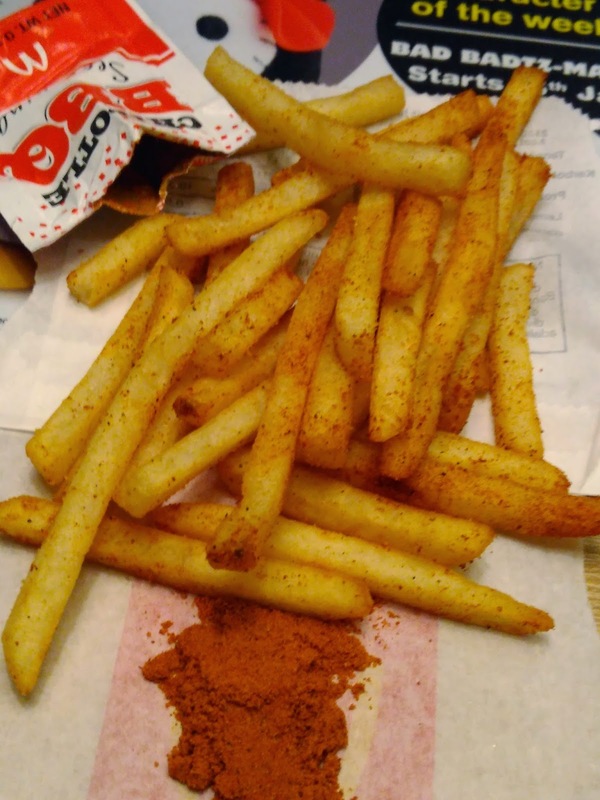 I'd have to agree, since this was a perfect combination, a very nice flavour to top your fries with. 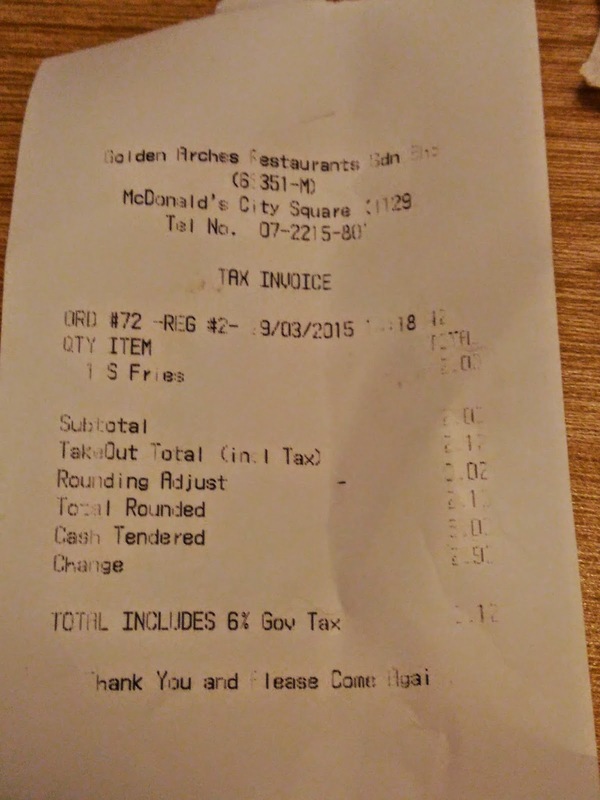 The amount provided would have been perfect for a large fry, they weren't salty, sweet, or gross, and they actually added a taste that you would actually enjoy adding to your fries. If those extra packages ever do show up from McDonald's corporate, I'll offer them to Twitter followers, so keep an eye out. EDIT - Figures that the day this review posts, is the day the missing Shakers from McDonald's USA arrive! It looks like the Zesty Ranch and Garlic Parmesan have been repackaged in the new 3.5g size. Follow & message me on Twitter, and one shaker could be yours!